Hormonal changes are the most common reason for a heightened sense of smell, especially those that occur during menstruation and pregnancy. There is also evidence to suggest that people who have lost a major sense like sight or hearing experience a heightening in their other senses to compensate for the loss. This is referred to as a symptom of "fight or flight," according to Health Central. 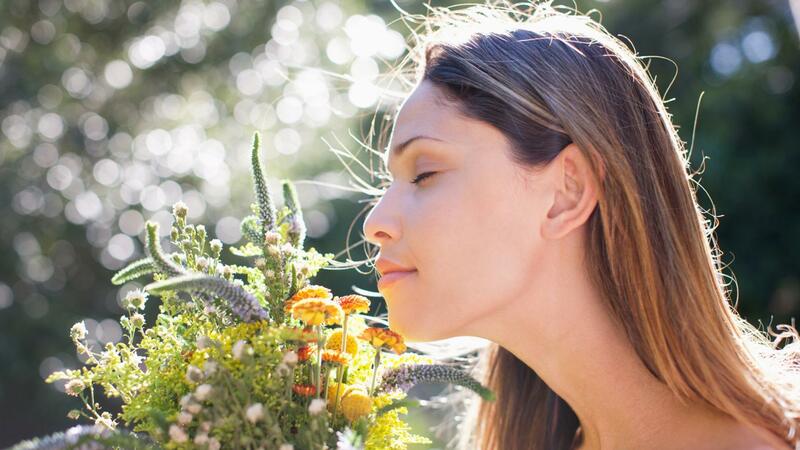 Scientific American explains that fertile women have a particularly heightened sense of smell. During the last half of the menstrual cycle, hormones peak and so does the woman's olfactory sensitivity. There is some evidence to suggest that this change only applies to masculine scents, including male pheromones and musk. Health Central discusses other research that suggests an entirely different reason behind inexplicably heightened senses of smell. Regardless of gender, researchers believe that people who experience high levels of anxiety may experience an increased sensitivity to smells. This phenomenon is thought to be related to the body's natural fight or flight response that puts sensory perception ahead of all else during an emergency situation. Not only can anxiety increase a person's sense of smell, but it is believed to make unpleasant smells smell worse, reducing the anxious person's tolerance. Anxious people are also better able to identify the type of smell they are experiencing. What Are the Possible Side Effects of Spinal Injections of Steroids? How Do You Treat a Chemotherapy Rash?